We love the relaxing feel when a couple can enjoy the moment before joining friends and family with the wonderful news. Why not have an al fresco lunch with champagne and admire the ring together? We especially like the idea of having a small photoshoot afterwards to remember the day by. Although, if that is the plan, it is a good idea to have a stylist on hand and wardrobe chosen by close friends for your honey. She will want to look her best for the occasion. 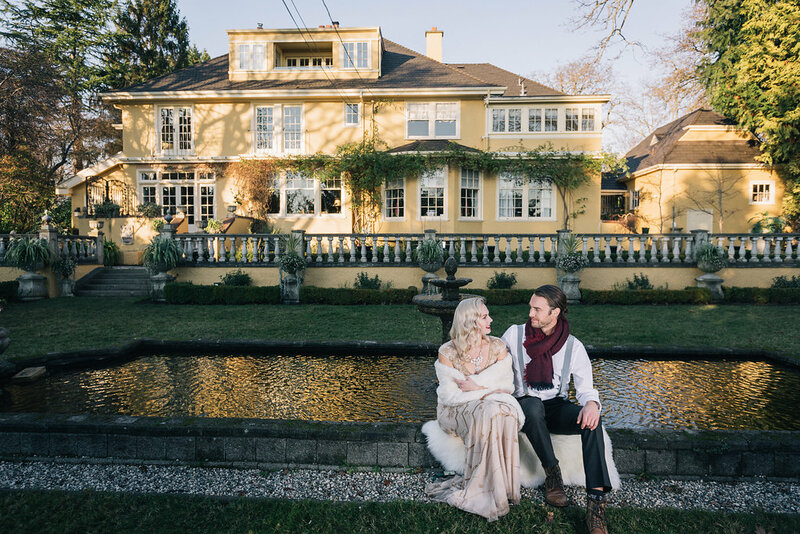 Details make the styled proposal – the Hollywood glamour theme is perfect for the Old World charm of the Vancouver Island Villa. What a showcase for a styled proposal! Jewel tones work with the natural west coast greenery of the gardens and fountain. And where would the whole proposal be without champagne! You are invited to more glamourous west coast weddings! 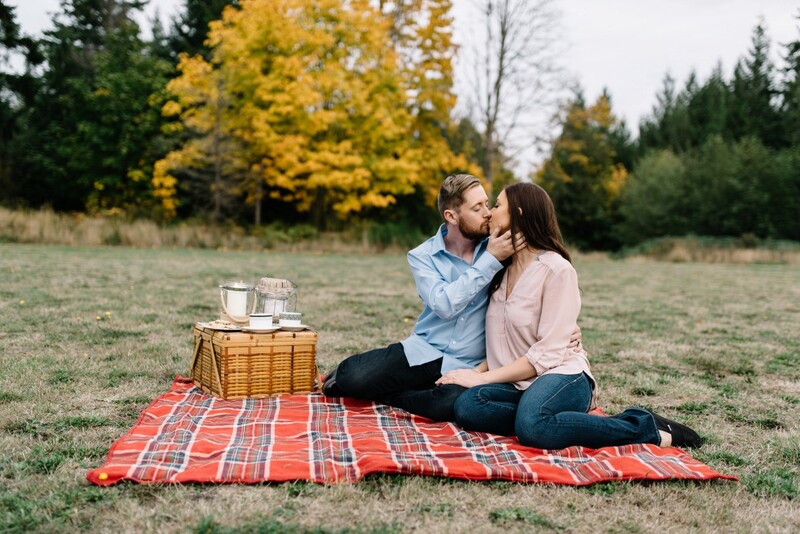 Off Roading Jeep Engagement Session Kicks It Up a Notch!